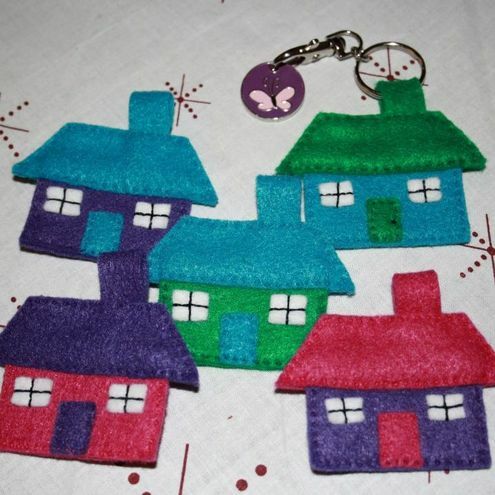 Folksy :: Buy "House Keyring"
Made from recycled felt (it used to be plastic bottles! ), these cute little houses have been lovingly hand-sewn by me using matching embroidery thread. Folksy :: Buy "Felt House Keyring - Pink/Purple"
Folksy :: Buy "Felt House Keyring - Green/Blue"